I have hit a snag using pyqgis in QGIS 3. I want to convert a set of CSVs (20 total) into point shapefiles but I am struggling with just the single CSV case. My code is based on this blogpost (https://www.geodose.com/2018/07/python-qgis-tutorial-adding-csv-data.html). I keep getting the same error but the "reason" section of the error message is always empty. This is the full code, I have not imported any additional packages. You need to prefix the path with file:///, this is due to QGIS using the file URL scheme when locating files. Your layer should now be valid (tested with QGIS 3.4). Not the answer you're looking for? 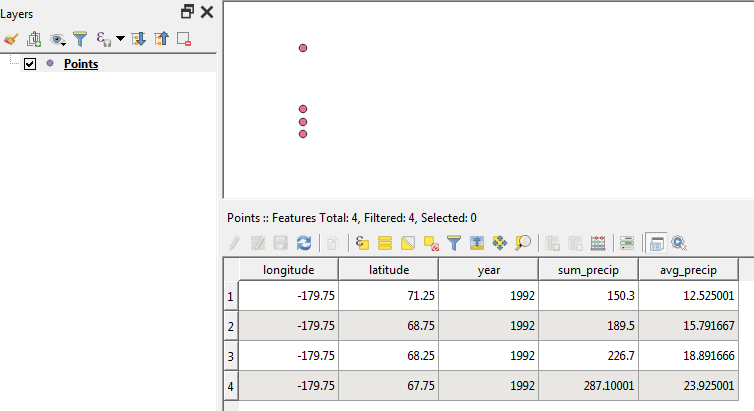 Browse other questions tagged pyqgis shapefile convert qgis-3 csv or ask your own question. How do I address this error message in QGIS, “CSV file must be in UTF-8 encoding”?